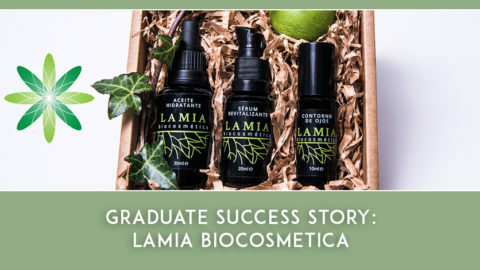 Many of the students who come to Formula Botanica do so because they want to learn how to formulate their own products, but we also teach numerous students who instead use this knowledge to guide their own formulation team. 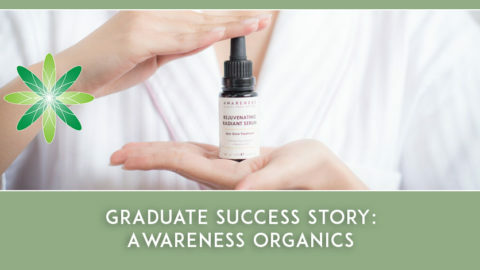 Having an understanding of organic cosmetic formulation is vital for any skincare business founder, as it allows you to be fully involved with the Research & Development process – whether you are handmaking your own products, or guiding your team of chemists. 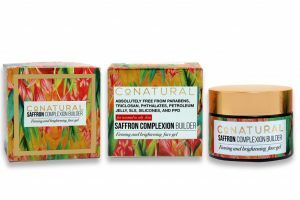 Today we speak to Myra Qureshi, Co-Founder of Conatural International, a gorgeous natural skincare brand based in Pakistan. 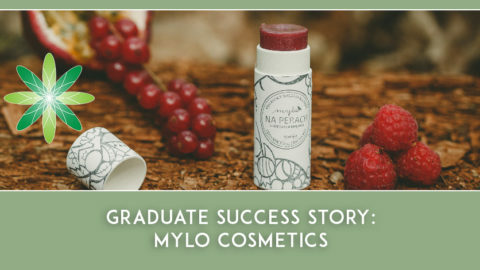 Myra has been part of our Formula Botanica community for over a year and uses the knowledge she gains from our courses to work closely with her team of chemists. Hi Myra, please tell us a bit more about you and your background? I graduated from the London School of Economics and Political Science (LSE) in 2004 and worked in the Financial Services Industry for ten years in the UK. While I was working, I completed an Executive MBA from Georgetown-ESADE in 2012. I moved to Pakistan in 2013 and was amazed at the dearth of organic and natural cosmetic and personal care products in the market. Even the ones that were being sold as “organic” or “all-natural” were laden with toxic chemicals and/or adulterated. I am allergic to many chemicals – and am unable to use many of the well known high street brands in both skincare and make-up. Due to this, I have always read labels and have been very particular of what I used. This gave me an idea to set up an organic and skincare brand in Pakistan that sold quality products at affordable prices and that is how the journey with Conatural began. We manufacture and sell in Pakistan but are also now growing into an export business. 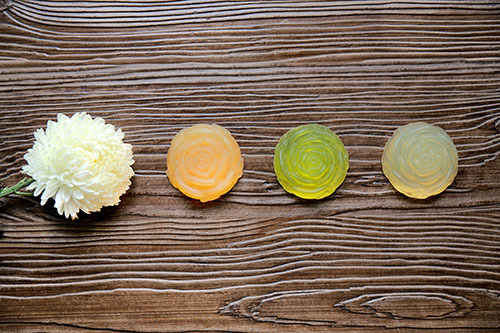 Our product formulas are a mix of exotic essences, Ayurvedic and modern aromatherapy. 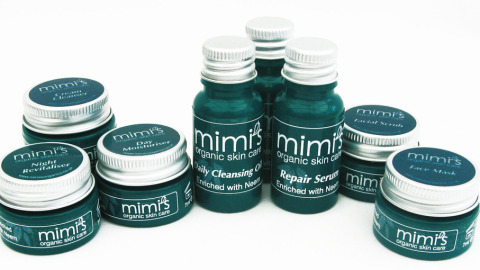 Our ingredients are vegetarian, non-toxic, gentle, safe, and never tested on animals. Conatural is proud to be an ISO 22716 certified company. We implement the strictest international standards of Good Manufacturing Practices. 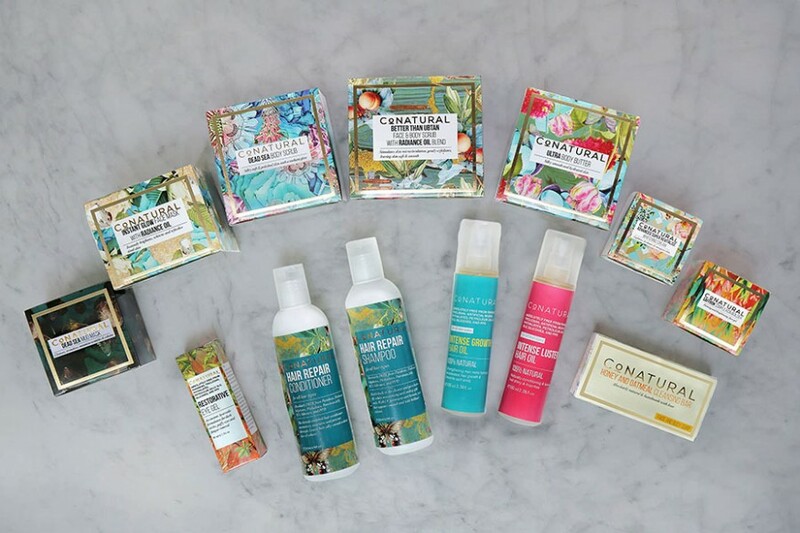 Our products are as close to natural, organic where possible and will always be free from toxic chemicals such as Parabens, Triclosans, Artificial Musks, Phthalates, SLS, PPD, Petroleum Jelly, and Silicones. Our mission is to change the way women and men buy skin and hair care products forever. We want to help eliminate people’s exposure to toxic chemicals in cosmetics and help educate them on the benefits of natural and organic ingredients. 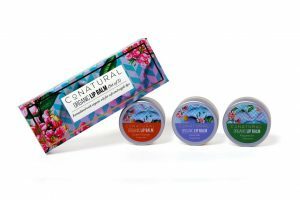 Where did the name ‘Conatural’ come from and where did you get the inspiration from for your brand? We were looking for a name that was ubiquitous and clever yet synonymous with our brand’s philosophy. After having come up with many iterations and much deliberation with family and friends, we came up with Conatural! What type of skincare products do you sell at Conatural and which one is your favourite? We started small with a limited selection of hair oils, scrubs and face masks but have now branched out into a host of products, ranging from daily essentials like soaps and shampoos to spa products like our Organic Massage Oils. 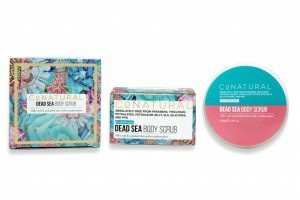 My favourite skincare product would have to be the Dead Sea Body Scrub – with a hectic lifestyle, just 5 minutes of pampering with the Dead Sea Body Scrub can make you feel like a million dollars! I have been thoroughly obsessed with using essential oils for my personal use for the last decade, and my personal research into these really helped when I started Conatural. I also had some experience making creams/serums etc but only for personal use. 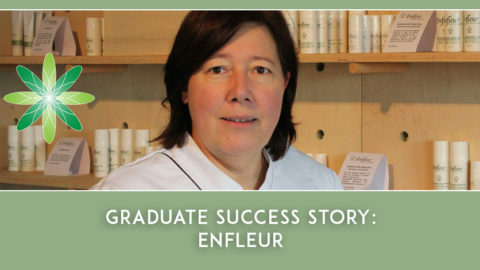 I had to hire professional chemists to formulate for the brand when I started Conatural. 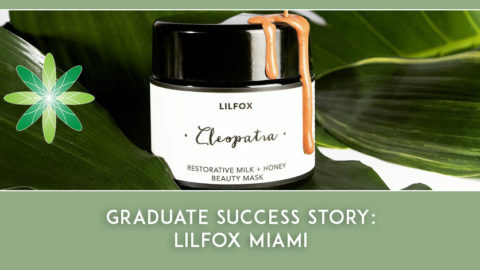 I am not a chemist nor do I have an educational background in formulation, but I wanted to learn more about formulations and actives to create superior skincare. 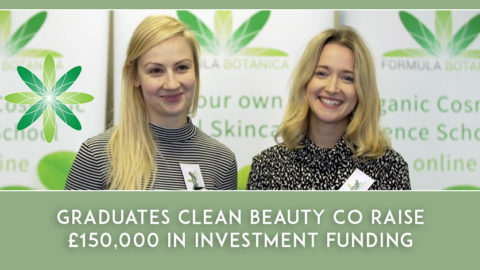 So I signed up for the Advanced Diploma in Organica Cosmetic Science, Certificate in Facial Masque Therapy, and Certificate in Organic Anti Ageing Skincare at Formula Botanica. These courses really helped in getting into further detail about what I already knew, and gave me deeper knowledge to comment on what my chemists created so together we could come up with newer and innovative products. After constant R&D, and making loads of mistakes (!!! 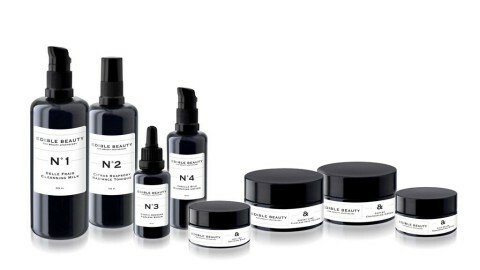 ), I can now reverse formulate most skincare brands available in the market, which I think is a great achievement. When someone says “Oh I love that product from Brand XYZ!,” I always challenge my chemists and work along-side them to recreate it to understand what “all the fuss is about”. The true test then, is when we can remove all the toxic elements from that product, add ingredients to make it superior, make it organic, make sure it passes all microbiological and stability tests, get consumers to use it to make sure it works, and then launch it in the market. That equals true achievement and happiness! What are the attitudes in Pakistan towards organic and natural beauty products? Despite the fact that our education levels are low and that there is not much of a culture of reading labels and being a well-researched, deciphering and discerning consumer overall in Pakistan, this is all changing slowly in the larger cities. There is still a lack of understanding of organic, what it means and its far reaching implications but we work hard to propagate this understanding as best we can through blogs, info graphics and newsletters. Having the ability to research and develop new things of your own accord and through that, being able to make an impact more effectively than not running your own business. You can pioneer change much more effectively as compared to just being a part of a large organisation. Educating potential customers about the vast benefits of natural and organic ingredients over harmful toxic chemical containing alternatives. It would be two things: Never ever compromise on quality; And go forth with every step keeping in mind that your goal is to run a conscientious business – always look to provide products that are beneficial to the health of your consumers and the environment.